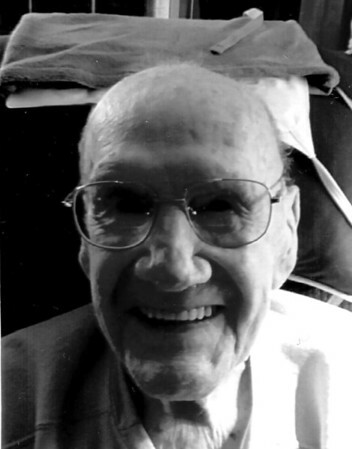 The Bristol Press - John Mozonski Sr.
John Mozonski Sr., 104 years young, of Bristol. John was predeceased by Helen, his wife, of 67 years and his son, David Mozonski. He leaves a son, John Mozonski Jr and his wife, Charlene, of Bristol; a grandson, John Mozonski III and his wife, Christine, of West Hartford; a granddaughter, Mary Beth Schirduan and her husband, Peter, of Holden, Mass. ; four great-grandchildren, Ana, Jack, Timothy and Vanessa. John retired from Pratt & Whitney Aircraft and was a member of the Bristol Elks Lodge #1010 but was not active in recent years. A devoted Catholic, he was a parishioner of Saint Joseph Church for many years. His one great love was fishing, especially up north on Lake Champlain in Vermont. He started making trips there in 1950, and made his last trip at the age of 100, catching several northern pike while fishing with his sons. He caught his last fish at the age of 102 while fishing in his back yard on Cedar Lake. Rumor has it the fish are glad he is gone. Posted in The Bristol Press, on Friday, 1 February 2019 19:22. Updated: Friday, 1 February 2019 19:28.